These three, meditation, concentration, will, have engaged the attention of Theosophists perhaps more than any other three subjects. A canvass of opinions would probably show that the majority of our reading and thinking members would rather hear these subjects discussed and read definite directions about them than any others in the entire field. They say they must meditate, they declare a wish for concentration, they would like a powerful will, and they sigh for strict directions, readable by the most foolish theosophist. It is a western cry for a curriculum, a course, a staked path, a line and rule by inches and links. Yet the path has long been outlined and described, so that anyone could read the directions whose mind had not been half-ruined by modern false education, and memory rotted by the superficial methods of a superficial literature and a wholly vain modern life. The mysterious subtle thread of a life meditation is that which is practiced every hour by philosopher, mystic, saint, criminal, artist, artisan, and merchant. It is pursued in respect to that on which the heart is set; it rarely languishes; at times the meditating one greedily running after money, fame, and power looks up briefly and sighs for a better life during a brief interval, but the passing flash of a dollar or a sovereign recalls him to his modern senses, and the old meditation begins again. Since all theosophists are here in the social whirl I refer to, they can every one take these words to themselves as they please. Very certainly, if their life meditation is fixed low down near the ground, the results flowing to them from it will be strong, very lasting, and related to the low level on which they work. Their semi-occasional meditations will give precisely semi-occasional results in the long string of recurring births. “But then”, says another, “what of concentration? We must have it. We wish it; we lack it”. Is it a piece of goods that you can buy it, do you think, or something that will come to you just for the wishing? Hardly. In the way we divided meditation into two great sorts, so we can divide concentration. One is the use of an already acquired power on a fixed occasion, the other the deep and constant practice of a power that has been made a possession. Concentration is not memory, since the latter is known to act without our concentrating on anything, and we know that centuries ago the old thinkers very justly called memory a phantasy. But by reason of a peculiarity of the human mind the associative part of memory is waked up the very instant concentration is attempted. It is this that makes students weary and at last drives them away from the pursuit of concentration. A man sits down to concentrate on the highest idea he can formulate, and like a flash troops of recollections of all sorts of affairs, old thoughts and impressions come before his mind, driving away the great object he first selected, and concentration is at an end. So the truth must be that will acts according to desire, or, as the older thinkers used to put it, “behind will stands desire”. This is why the child, the savage, the lunatic, and the wicked man so often exhibit a stronger will than others. The wicked man has intensified his desires, and with that his will. The lunatic has but few desires, and draws all his will force into these; the savage is free from convention, from the various ideas, laws, rules, and suppositions to which the civilized person is subject , and has nothing to distract his will. So to make our will strong we must have fewer desires. Let those be high, pure, and altruistic; they will give us strong will. 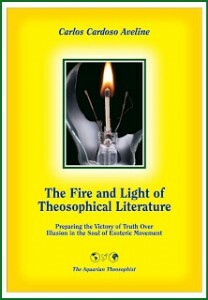 The above article is reproduced from “Theosophical Articles”, William Q. Judge, Theosophy Co., Los Angeles, 1980, volume I, pp. 316-318. See the text “Contemplation”, by Damodar K. Mavalankar, which is available at our associated websites.